There is the second Norwegian Chess Festival from 28 April until 5 May in the Norwegian town of Fagernes in the south of the country, two and a half hours drive away from the international airport Oslo (Gardermoen). The Quality Hotel & Resort Fagernes, where the event is being held, deserves to be named the "chess hotel" for a great organisation of comfortable living conditions and for promotion of chess among chess players of all ages. The festival includes the Open Norwegian Championship 2012 and many other tournaments that range in their appeal from grandmasters to amateurs and beginners. The Russian grandmaster Ramil Hasangatin is leading the main tournament after five rounds, having lost only half a point. He is followed by seven participants with four points. There are many chess players in the tournament, who are not just from Norway, but guests from Sweden, Denmark, Ukraine, Spain, Great Britain and other countries. The festival doesn't just include ordinary chess tournaments. Anyone can try out a game invented by the Norwegian Rolf Westrum. Two to four players can play in the game of "Royal Chess", making moves in turns. The aim is to checkmate one of the opponents; when that happens, all remaining pieces (except the king) of the side that lost are transferred over to the side that delivered a checkmate. And then the game continues. The game can rightfully be called social. The inventor himself is watching kids play. 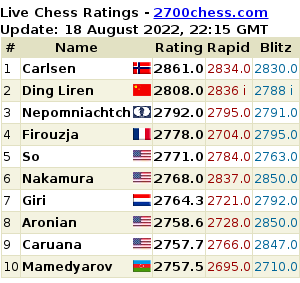 A rising Norwegian star Aryan Tari (2216 ELO), who shared 3-7 places at the World Championship under 12, and a young Ukrainian chess player Mikhailo. It's possible to buy anything in this room, specifically allocated to a chess shop: from various chess sets and chess books in English and Norwegian, to key tags and chess notepads. I was able to buy "Royal Chess". I will learn it! The book Fighting Chess with Magnus Carlsen by Adrian Mikhalchishin and Oleg Stetsko, translated into English, turned out to be quite popular with the buyers. The fantastic weather and the beautiful view towards the lake and the mountains promote creativity. Norway is a delightful country. Where else can you laze in the sun while drinking coffee on a terrace, follow patches of sunlight on the surface of completely still water that is only occasionally disturbed by swimming ducks, and enjoy the stunningly beautiful view of the mountains that are still covered in snow in some places? Alternatively, you can feed bread (the smell of which cannot leave indifferent even such fans of a diet as I am) to the ducks. Apart from the games, the Norwegian Chess Federation, with the help of the company Tromso-2014, has organised a seminar for FIDE arbiters as a part of the festival. The seminar's presenters are the festival's guests of honour: the FIDE General Secretary Ignatius Leong and the International Arbiter from Israel Almog Burstein. If you are interested in the secret of Norwegian longevity, pay attention to how this brave woman toughens up. The water is so cold that man's best friends are not eager to take a dip. 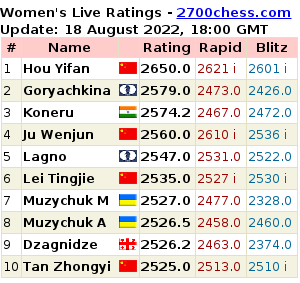 The game of the leaders of the tournament turned out to be very entertaining and ended with a win for the Russian. The Chief Arbiter Hans Olav Lahlum, who is easily recognisable by his "chess" waistcoat, doesn't only know the finer points of arbitering, but is a historian, writer, professional chess player and organiser, who also actively participates in the political life of the country. Hans Olav has written several biographies and a historical book about all the American presidents. Alongside the main tournament, there is a rated tournament for players no higher than 2000 ELO. Many players adopt funny poses when trying to concentrate during their time trouble. And some have a need to feel at home. The young generation doesn't only aim to play like Magnus, but also tries not to lag behind the rating-favourite with regards to fashion. There are not only the chess players who have something to do: the youngest guests of the hotel have a special playroom. Apart from ideal conditions for the hotel's guests, the hotel can boast a magnificent decor: old furniture, antique chandeliers and many paintings on the walls. This wonderful couple of a polar bear and a brown bear welcomes all fans of chess to the floor reserved purely for the festival. You can stay in a comfortable single room, which includes full board at the hotel, for 850 Norwegian krone (100 euro). I can't not mention the huge selection of dishes: from the usual American breakfast to the freshest Norwegian salmon and other seafood, and a large number of fruit, berries and other healthy foods. A table with desserts deserves a separate mention: the space around it is almost never empty. Young and adults return for seconds: sweet pies, plates of berries and jelly desserts with sauce. It's worth going for a walk after a tasty dinner. The air is cooling, but it's still light like in the daytime: it doesn't get dark at this time of the year in Norway due to its proximity to the Arctic Circle. The guests don't have a problem with sleeping soundly: fresh air and a complete silence after 10-11 at night have the necessary effect. But the day has not ended for the chess players: the grandmasters' corner awaits anyone who's interested. On the photograph, Ramil Hasangatin shares his reactions after the game. Ignatius Leong and Almog Burstein would be very happy to visit this place again. During the whole Gibraltar festival we never suffered from the lack of photos, which were always timely shared by the organizers. We offer you the selected pictures here. An unusual action was held today in the Hotel Sport located in Eilat, Israel: chess was played under water. There were played several games. The players rather tried to play. Eitan Orbach, one of the best swimmers of Israel, the finalist of the Sydney Olympiad was in the spotlight.